New. 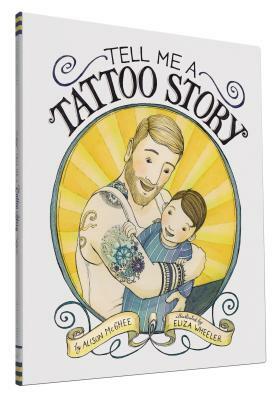 In this beautiful conversation between parent and child, some very special tattoos illustrate an ode to all that's indelible--ink and love. Illustrator(s): Wheeler, Eliza. Num Pages: 32 pages, full-colour illustrations throughout, jacketed. BIC Classification: YFN. Category: (J) Children / Juvenile. Dimension: 213 x 261 x 10. Weight in Grams: 320. 2016. Hardcover.....We ship daily from our Bookshop. Wheeler, Eliza. New. Picture book. Sewn binding. Cloth over boards. 32 p. Contains: Illustrations. Intended for a juvenile audience.